Talking buddy for your Windows 8 device. Answers questions, performs tasks, notifies. 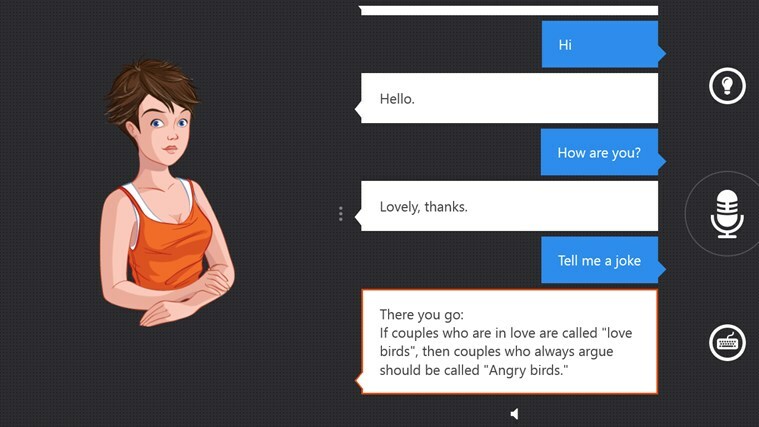 Speaktoit Assistant is a virtual buddy for your Windows 8 device that uses natural language technology to answer questions, find information, launch apps and connect you with various web services, such as Google, Facebook, Twitter, Foursquare, Evernote, and many others.